The problem is the future strain on Portland’s transportation infrastructure, due to the expected population growth of 1 million people by the year 2040. Portland is expecting to become denser, and though Portland’s population has increased, the congestion of traffic has not. This is due to Portland’s predominant bike culture. Portland is America’s biking capital, with a bicycle commuter rate of 6.3% vs. the national average of 0.61%. There is already an existing system of bicycle pathways through the city of Portland, so building new infrastructure is not the way to generate more cyclists. Our intent is to help Portland reach the modal split goal of 25% bicycle trips taken by the population inside the metro area. The average person is willing to bike 3-5 miles to work, school, amenities, etc. A large network of bicycle paths is the densest in the inner east area of the city. That is also the densest population of Portland. Since a large focus of city development occurs within the City Center and the Central Business area, our focus area for change is a five mile radius stemming out from Downtown Portland. 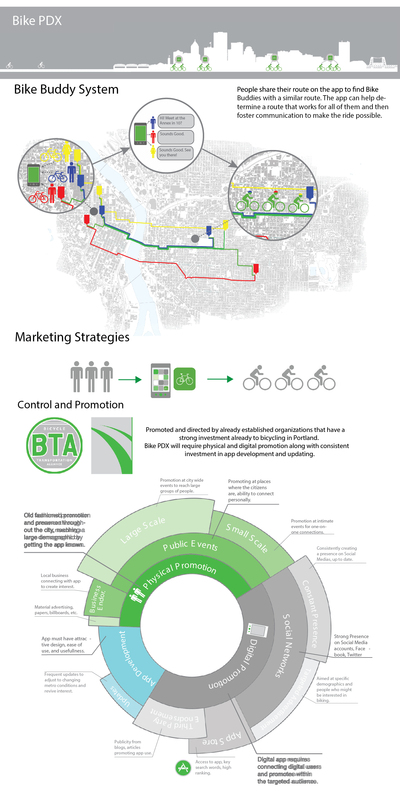 Our goal is to increase bike ridership by 6% of the inner east side of Portland through the use of an engaging, new medium that connects both prospective and current cyclists in Portland to a unique social network. 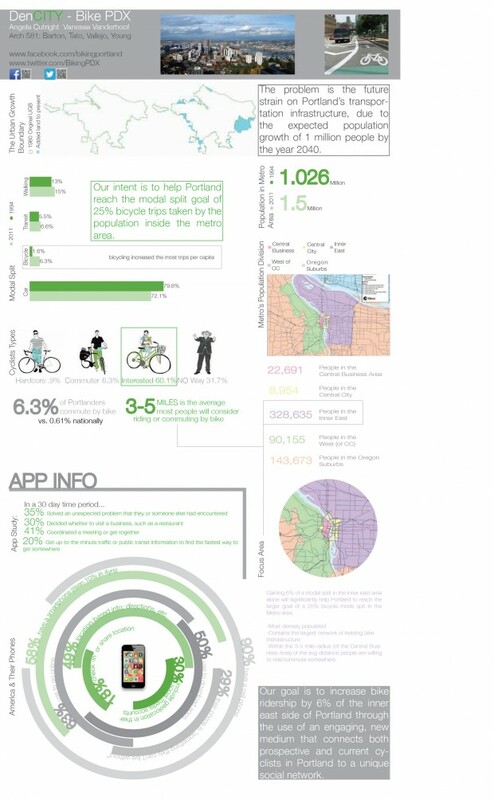 Through the use of a phone application, we are able to reach a large amount of the population of Portland at little cost compared to building new infrastructure for bike commuting, or implementing new rules or regulations. 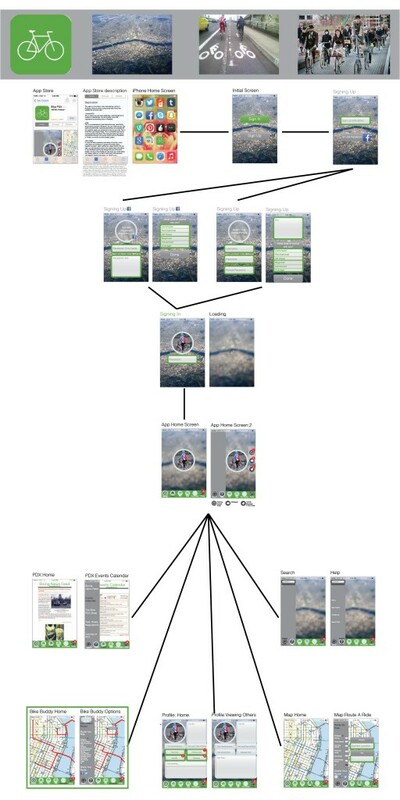 The app will be able to track usage and also prompt users with a survey that could help identify how much help this app potentially provides in creating the goal modal bicycle split of 25% here in Portland. At the top and below are the videos we created. The first is the ad that would run for the app, the second one is sort of an ad – more on the informational video side of things.